In South Carolina, state law maintains that the REALTOR must represent at least one of the parties in the transaction (cannot be neutral). Consumers have the option to hire an agent (become a CLIENT with fiduciary responsibility from the agent) or remain a CUSTOMER (at arm’s length) and represent him/herself in the transaction. The LISTING AGENT always represents the seller. Sometimes a buyer will purchase a home with the help of the listing agent. In this case, known as DUAL agency (common in new construction), the agent assists both the buyer and the seller in the transaction. However, it is also possible that the buyers want an agent representing their interests exclusively (BUYER’S AGENT) , a service which is available at no additional cost to the buyer. Any real estate agent licensed in SC can act as your buyer’s agent, helping you identify homes that meet your buying criteria, and representing your best interests in the transaction. And their commission is normally paid out of the seller’s listing commission negotiated via the MLS. 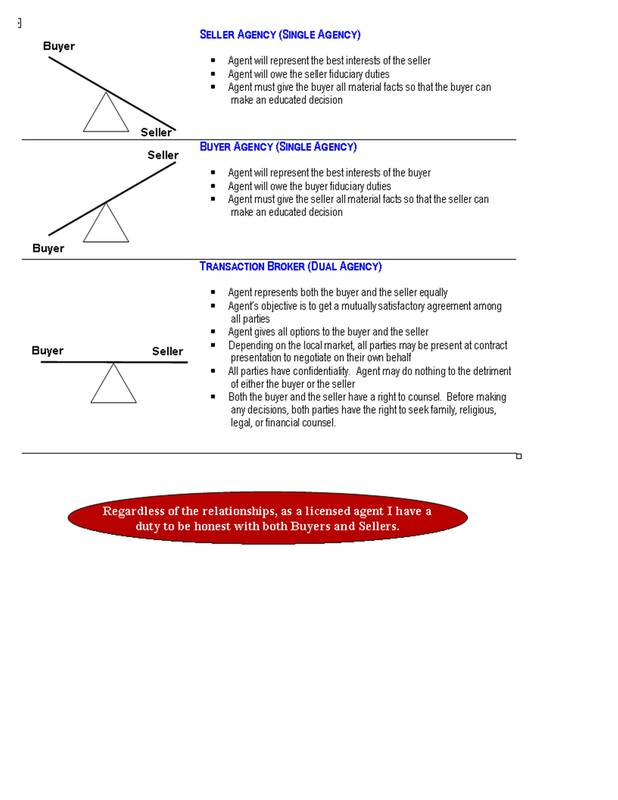 However, if the buyer’s agent works for the same brokerage as the listing agent, DUAL (as described above) or DESIGNATED agency rules will apply. In DESIGNATED agency, the Broker In Charge of the real estate office designates one agent to represent one of the parties, and another one to represent the other party. The law demands that both parties agree to using one or the other, to make sure no party is favored and that no confidential information is passed from one party to the other, to guarantee a fair transaction. Before you hire a REALTOR (as a listing or buyer agent) ask that he/she explains agency to you. It is your right as a consumer! Wish to buy or sell real estate? Hire The Alan Donald Real Estate Team at 843-900-0155. We get it done!